Jing’s Shangri-La Journey began 13 years ago when she joined as a fresh graduate, with learning and development opportunities, clear direction, coaching and leadership. Jing is fulfilling her passion and is a highly regarded Resident Manager at Shangri-La Hotel Dalian, and developing the skills to become a general Manager. She is a true example of Hospitality from the heart. Hear more from her as she shares her passion for Shangri-La. Jing continues to strive for success and self-development. Being happy in Shangri-La family enables her to follow her passion and continue to grow. 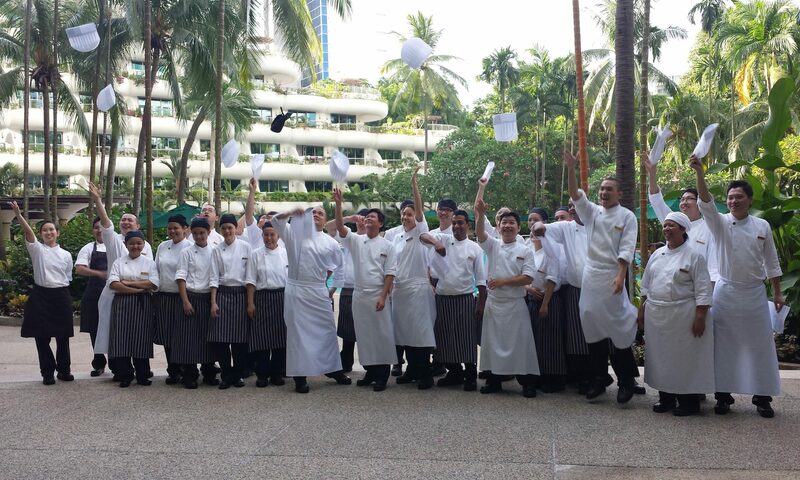 Investing in talent is our number one priority at Shangri-La Hotels and Resorts. We ensure we provide best in class learning & development opportunities to support our next generation leaders. Presenting the journey of Tiger Yang, Executive Assistant Manager of Shangri-La hotel, Lhasa. Hear more from Tiger as he shares his passion and commitment to Shangri-La Hotels and Resorts and why he recommends Shangri-La as a great place to work. Tiger’s journey with the Shangri-La family began in 2009. He gained experience in sales and marketing from around the world, particularly Dalian, Manzhouli and Dubai. As a talented director of sales and marketing, Tiger aspirated to become a Resident Manager. In May 2015, he was selected to attend a High Potential Development workshop in Hong Kong with a dedicated coach. Now, with a bespoke development plan in place, Tiger is the Executive Assistant Manager at Shangri-La Hotel, Lhasa. He gained experience in sales and marketing from around the world, particularly Dalian, Manzhouli and Dubai. As a talented director of sales and marketing, Tiger aspirated to become a Resident Manager. In May 2015, he was selected to attend a High Potential Development workshop in Hong Kong with a dedicated coach. Now, with a bespoke development plan in place, Tiger is the Executive Assistant Manager at Shangri-La Hotel, Lhasa. Why are you passionate about Shangri-La Hotels and Resorts? After many years of working with Shangri-La, I feel at home. I’ve had many opportunities to learn, develop and grow, both professionally and personally. I feel honored that Shangri-La believes in me. After attending the High Potential Development workshop, I am fulfilling my dream and proud to be an Executive Assistant Manager at Shangri-La Hotel, Lhasa. Shangri-La invests in people which is why I want to give back and continue our professional journey together. I am dedicated to Shangri-La, and I value the opportunities to learn new skills. Throughout my journey, I have become a more professional leader, and I would like to give back to Shangri-La and be an example to others. Grace Zhang’s Shangri-La journey began in 2004; she joined as an Assistant Front Office Manager in Wuhan. Through hard work and dedication, today Grace is a highly regarded Resident Manager. She shares her passion for Shangri-La with insights into her personal and professional journey of triumph, self-reflection and women in leadership. Let see what happen in her career path with Shangri-La! I feel I am a better person; working with Shangri-La has changed my life in ways I never expected. My career has grown, I have been developed and have grown as a person, because of this, I am thankful to Shangri-La. In my early career, I was young & immature; I was not emotionally intelligent and not balanced in my approach. Throughout my journey with Shangri-La, I have transformed, become more mature and softly spoken. Working with Shangri-La has taken me on a Body, Mind and Spiritual Journey. I am dedicated to Shangri-La our guests, our people, our family. With genuine hospitality from the heart, my mission is to make others feel comfortable. I feel privileged to be in a supportive environment, freedom to grow and develop every day. I am proud to be a female leader in Shangri-La. Learning from others and giving back to others. My passion is to be a positive role model, support others and be an inspiration. In October 2016, a prominent guest from China, together with three of his friends stayed at Shangri-La Bosphorus, Istanbul. Their required arrangements included helicopter and limousine transfers, dining options in exclusive outlets in the city. Concierge Service Leader Serhat Atis, a member of the Golden Key, was assigned to see through them. After the guests had left the hotel on departure, Serhat contacted the DM to inform of a valuable camera that the guests had left in the room. The guests requested for the item to reach him before flying out of Istanbul airport. With virtually no material time left, closing midnight, Serhat contacted the Operations Manager of a VIP meet-and-greet company to arrange for one of their staff to meet the guest inside the airport just before boarding the airplane. Simultaneously speaking with the guest, meet-and-greet staff and airline crew, the guest finally got his camera back from the airline cabin crew although the flight was delayed for about 15 minutes. The guest sent Serhat a text message appreciating the excellent service, against all odds.